The education field believes that literacy coaches are an integral component in magnifying teachers' professional growth. However, little has been done to determine what coaches must do to be deemed effective. The author of this book aimed to identify important characteristics of an effective professional development model, one that moves closer to answering the questions: 1) What components are necessary in an effective professional development model? ; 2) What makes a literacy coach effective? ; and 3) What leads teachers to change? To find answers to these questions above, an extensive review of literature was conducted in the areas of the adult learner, professional development, and literacy coaching. Although the body of research in these above areas is relatively modest, there are some preliminary findings. Both quantitative and qualitative studies have been published and provide guidance on PD design, as well as define future research questions. 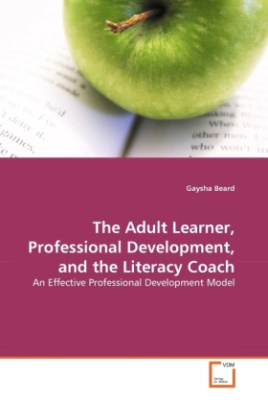 This review of literature identifies 10 major components of the adult learning process that should be considered when developing professional development experiences for teachers.